Recently went out for lunch with my company-mate, food club co-member and fellow blogger, Andrew. Though it was a bit of trek from my current office, I obliged since he haven't tried Uncle Moe's yet. Uncle Moe's Shawarma Hub is one of the most affordable (yet delicious) kebab restaurants I know. 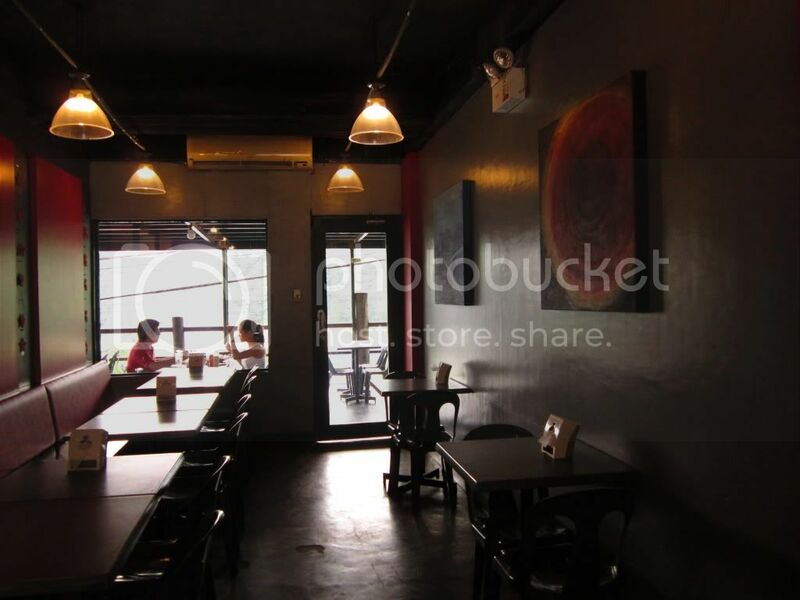 Open 24/7, the ambiance is very laid back that it reminds me of the usual hang-outs during my college years. It is a usual place for beer lovers as they serve sub-zero beers. :) and they have ice cream (and free wi-fi!) too. I was really starving so I didn't think twice and ordered my usual kebab fix. 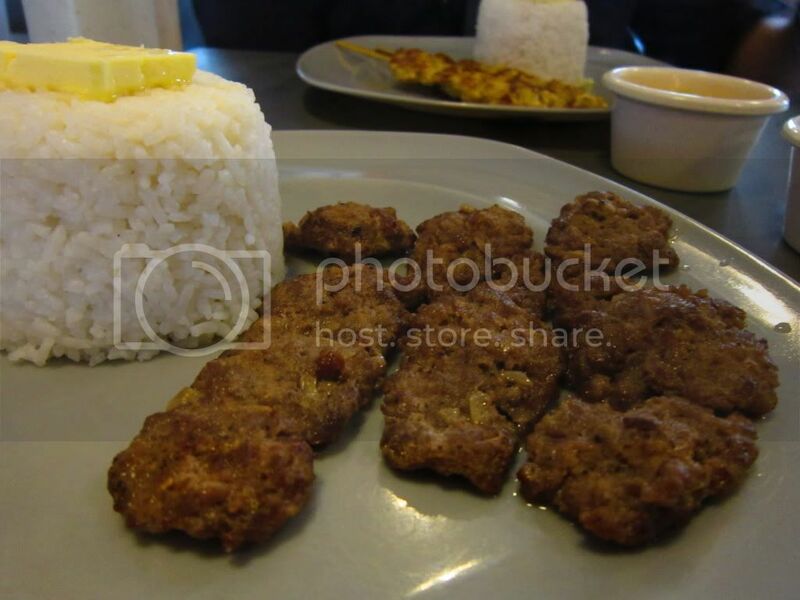 The dish has 3 pieces of beef kebab with rice and butter, served with salsa. The beef kebab is so juicy and tender that I didn't have any problem eating it. 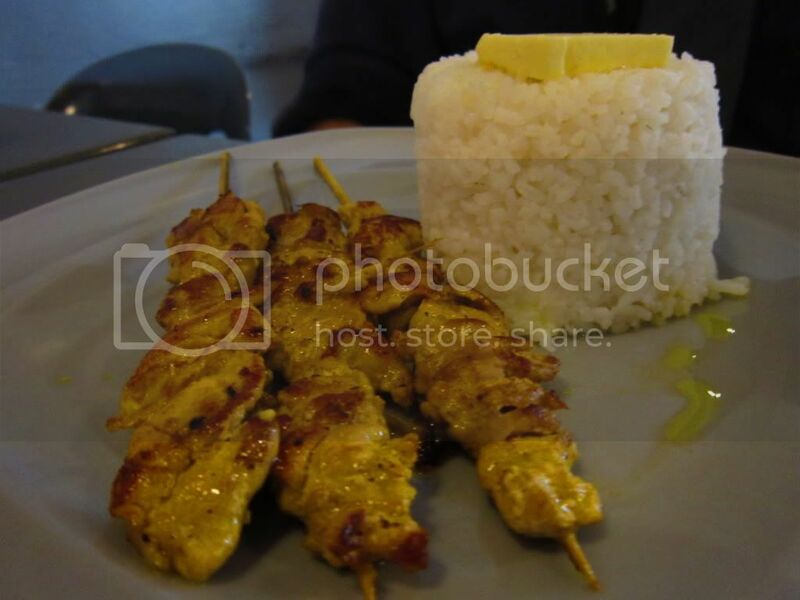 It has 3 pieces of skewered chicken kebab with rice and butter, served with salsa. This is my usual order and I super love the chicken kebab! I love flooding my kebab with their yogurt sauce. The salsa is not bad too. I'm sure about the butter they use for the rice, but it is really good! 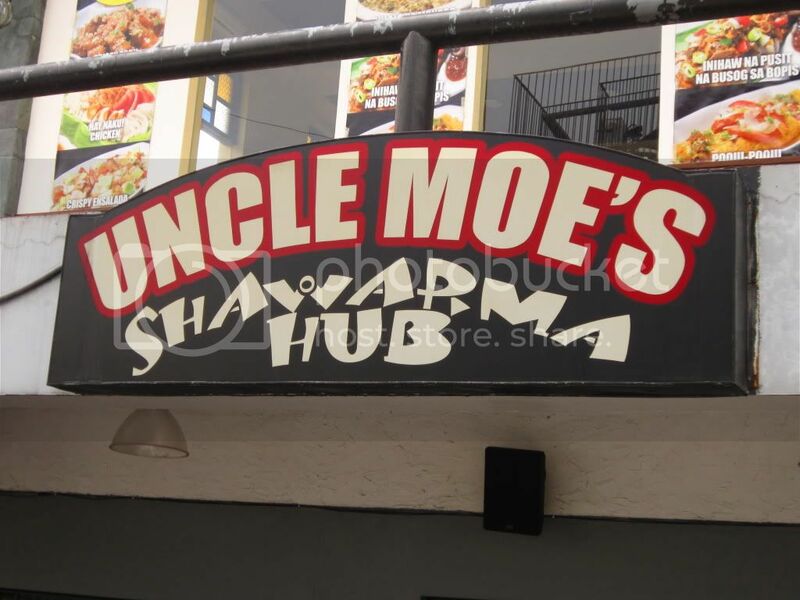 I recommend Uncle Moe's Shawarma for affordable kebabs and the laid back ambiance. I still cannot see if beer is good partner for kebab or shawarma (maybe because I don't drink) but I don't mind. I'm a kebab fan and I love Uncle Moe's. Looks good! And its great to know you spent time with Andrew. Naimagine ko parang bagay kayo. Hehehe.